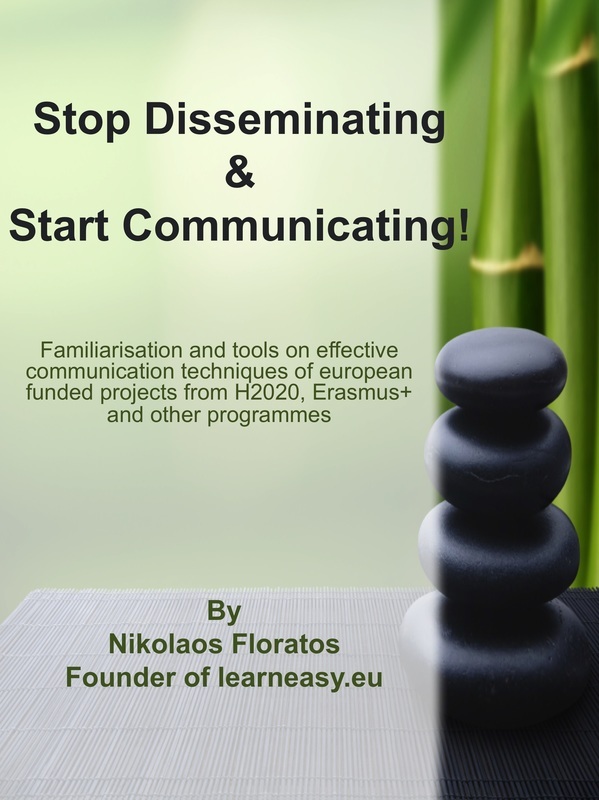 Stop Disseminating and Start Communicating! Apparently, the European Commission has realised that dissemination (i.e. promotion and raising awareness of your project) is not the main aim but just the means for the project results and achievements to reach their target groups. They are so serious with this that they even ask specifically now at the proposal application form what will be the project's dissemination strategy in order to achieve this. This is a big change but I have prepared a series of slides that any proposal applicant can use as the basis for outlining their own dissemination strategy within their proposal application form or even during the implementation of a european project.